Macquarie has always been significantly impacted by coal mining - it has coal mines, it has power stations, it has coal washeries, it has coal stockpiles and it has coal trains running through it every day. Yet it has not seen one cent of funds from the $250m Resources for Regions scheme which could easily be mistaken for a National Party slush fund. If political bias is clear in determining where this money has gone or goes, then the government should shut this fund down in favour of a more balanced approach to regional funding needs. I will be asking the Auditor General to review Resources for Regions. THE NSW Audit Office will be asked to review the NSW Government’s controversy-plagued Resources for Regions program after National Party seats secured nine out of 10 funded projects in a recent funding round, and Upper Hunter coal areas lost millions of dollars in favour of Broken Hill. Independent Lake Macquarie MP Greg Piper said Resources for Regions “should be wound up” if the Audit Office found politics was a factor in the allocation of more than $250 million since 2012, rather than the stated aim of providing infrastructure to mine-affected areas. “It would be absolutely wrong if such a large amount of money was allocated more on politics than an independent assessment of proposals based on stated criteria,” Mr Piper said. Infrastructure NSW released details on Tuesday of 10 recipients of $25 million of Resources for Regions funding. Lake Macquarie and Maitland were two of four areas that did not receive funding after they were shortlisted. Muswellbrook received $1 million less than the $2.915 million it requested for a rail noise abatement project to reduce the impact of coal train noise on the town, but all of the $1.45 million it applied for to build the next stage of a tertiary education project. Singleton received $2.64 million less than its $6.14 million road and intersection project that was shortlisted for funding. While four of the 10 funded projects received less than their shortlisted proposals, Broken Hill in the Nationals seat of Barwon received an additional $800,000 after it was shortlisted for a $3.1 million YMCA “wellness” centre. The seat of Barwon, which suffered a 13 per cent swing against Nationals MP Kevin Humphries at the 2015 election, also received $2.495 million for a sewage treatment plant at Boggabri near the Maules Creek coal mine. The seat of Orange received $1.55 million of a requested $2.1 million for a road project linked to the Cadia gold mine. The Orange by-election in November sent shock waves through the Nationals after a Shooters and Fishers Party candidate won the seat. Only one of the 10 funded projects went to a seat other than the Nationals – $2.4 million to a Wollongong project – or Orange which was a Nationals seat when projects were shortlisted. Mr Piper said he had fought the NSW Government to broaden the criteria for Resources for Regions since it was established, and it was frustrating for Lake Macquarie residents that an area which was so closely associated with coal mining had never received funding under the program. “We’ve got a history of coal production, we have coal mines, we’re the end user of that coal energy in terms of Eraring power station. We’ve been the engine room for the state and we’ve been greatly impacted, yet we haven’t received any funding under Resources for Regions,” Mr Piper said. Mr Piper wrote to Deputy Premier John Barilaro in December about Lake Macquarie’s shortlisted Resources for Regions project to extend Munibung Road and “drive investment in the Cardiff area”. The figures supporting the project were “compelling”, Mr Piper wrote. “When they start to share these things up how is it that Lake Macquarie has not been able to find its way into the pot of funding?” he said. Labor politicians in the Illawarra region described the $6.9 million the region had received under the $250 million Resources for Regions program as “pathetic”. The Department of Industry said Infrastructure NSW’s regional independent assessment panel reviewed all applications and provided a shortlist to Infrastructure NSW. Infrastructure NSW submitted recommendations to the NSW Government, the department said. In response to Newcastle Herald questions about criticism of the allocation process, a spokesperson for Mr Barilaro said Infrastructure NSW’s regional independent assessment panel reviewed all applications and final submissions, then provided recommendations on successful projects to the Department of Industry. “The independent panel approves project funding for the Resources for Regions program. 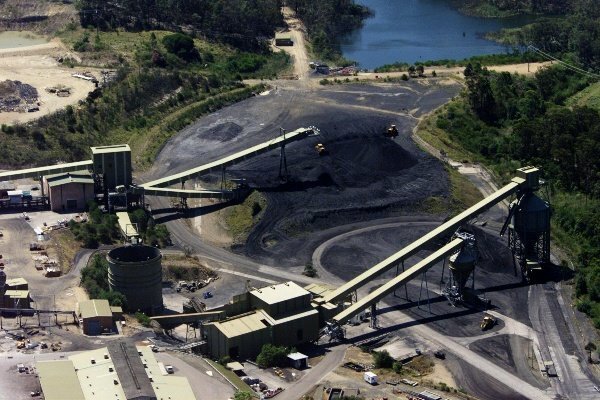 All projects are assessed against the criteria which is set out in the Restart NSW Resources for Regions guidelines,” the spokesperson said. Department of Industry figures show that Muswellbrook has received $53 million of Resources for Regions funds, including a controversial allocation of $20 million to upgrade Muswellbrook Hospital, and Singleton has received $43 million.